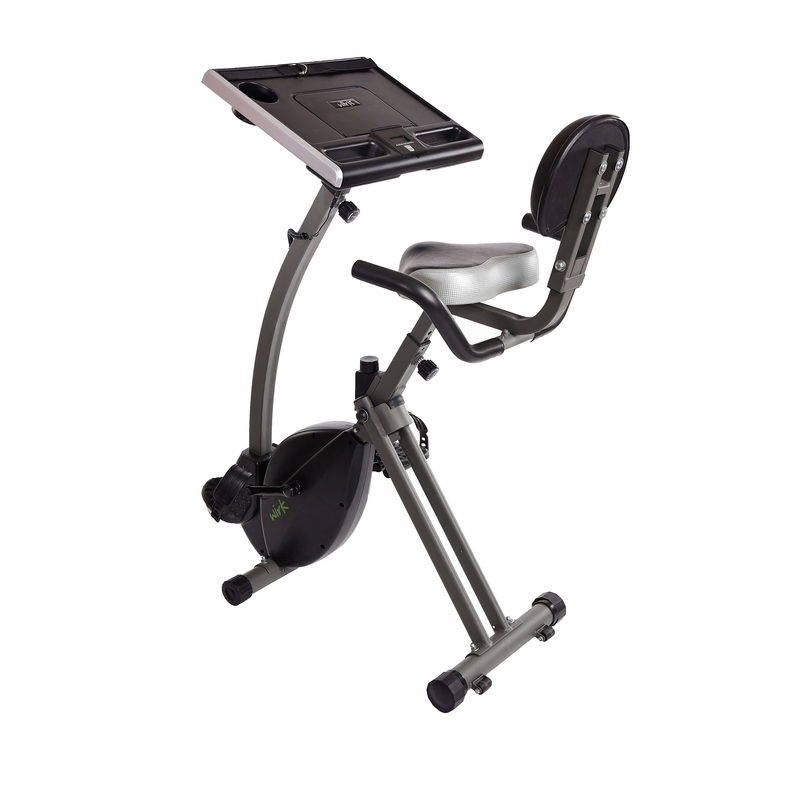 The Stamina® Magnetic Recumbent 1350 Bike offers an excellent, enjoyable cardio workout without the need to battle traffic or the weather. Featuring a semi-reclined frame, the recumbent bike is designed to target all major muscles in the hips, thighs and glutes. From the slightly leaned-back position, you can comfortably work through even the most intense ride — whatever your preferred resistance level and distance goals. With the adjustable heavy-weighted flywheel resistance and belt drive train, pedaling the Stamina Magnetic Recumbent 1350 Bike remains smooth at at any resistance level. The easy-adjust tension knob lets you customize the intensity mid workout, so you can increase resistance to tackle an uphill climb. The adjustable, padded seat offers a comfortable ride while oversized foot pedals hold your feet securely in place. Our walk-through design makes getting on and off the bike safe and effortless — for a great ride from start to finish. Remember, aerobic exercise is most effective if you work within your target heart rate zone, which is 70% to 85% of your maximum heart rate. Pushing yourself – safely – is great, but overdoing it is not only hazardous; it’s less impactful. Use at home to build cardiovascular fitness and to tone hips, thighs, and buttocks. A great low-impact workout for all fitness levels. Adjustable smooth, quiet, magnetic resistance. Padded, upholstered seat; oversized pedals. Improves cardiovascular fitness, tones hips, thighs, and buttocks.